The WordPress Build and Host Bundle has the tools you need to build a site and add essential security features. Building your website doesn’t necessarily mean hours upon hours of coding. And protecting it shouldn't take a cybersecurity expert. With WordPress Build and Host Bundle, the entire process is made easy with Dragify and SSDPage. Get a lifetime subscription to this can't-miss bundle, on sale now for 96% off the retail price! While it's good to know how to code and work with programming languages, developing a professional website doesn’t always require specialised expertise. Dragify offers 44 prebuilt elements you can move around freely, enabling you to create the perfect setup in no time. 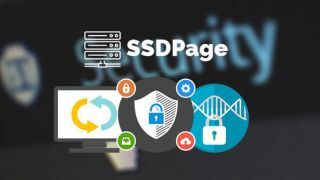 Once your site is ready to go live, you can host it with SSDPage's Anti-Hacker Web Hosting, which provides enterprise-level security to your site to keep it safe. A lifetime subscription to the services in the WordPress Build and Host Bundle usually costs $1,344.40, but you can save 96% off the retail price. That's a huge saving for two essential tools for any web designer, so grab this deal today!